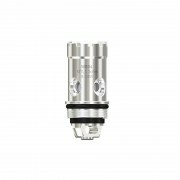 Wismec SINUOUS V200 Kit consists of SINUOUS V200 Mod and Amor NSE Atomizer. Made of transparent PC material, it is exquisite, stylish yet economical. 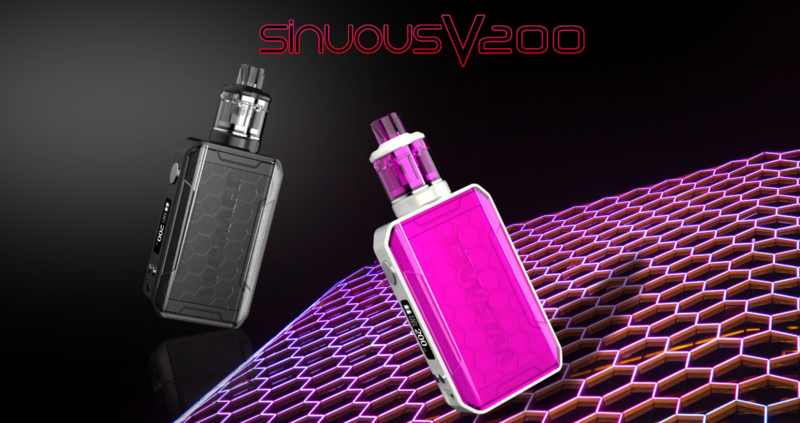 Powered by dual 18650 batteries, the SINUOUS V200 can fire up to 200W maximum output with various output modes. Multiple protections are applied for safer vaping. The mod comes with upgradeable firmware that will make your device always up to date and stand out from other ecigs. 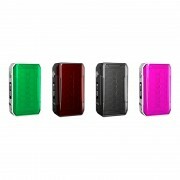 It is equipped with 0.91inch OLED screen to present vital vaping information. 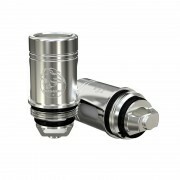 As for the Amor NSE Tank, it has 3ml e-liquid capacity and 26mm diameter. 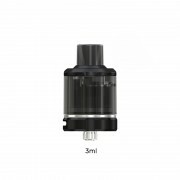 The atomizer adopts retractable top filling solution and refined airflow control system. 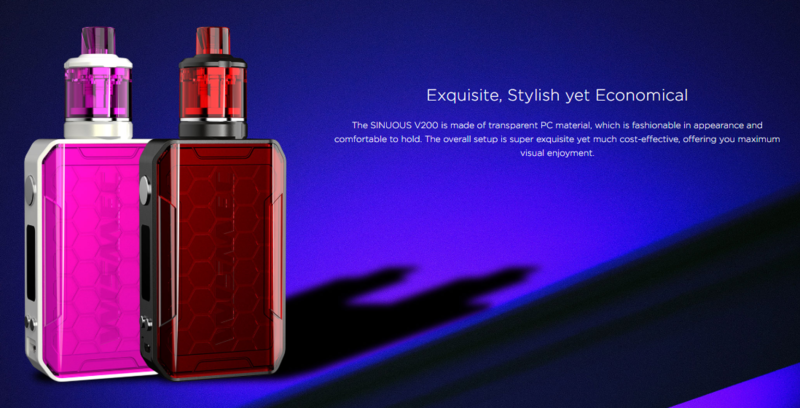 Working with new WS-M (Mesh) coil, the SINUOUS V200 Kit will produce intense flavor and huge clouds. How to charge SINUOUS V200? ❤ Please read the user manual carefully before using this Wismec SINUOUS V200 Kit with Amor NSE. 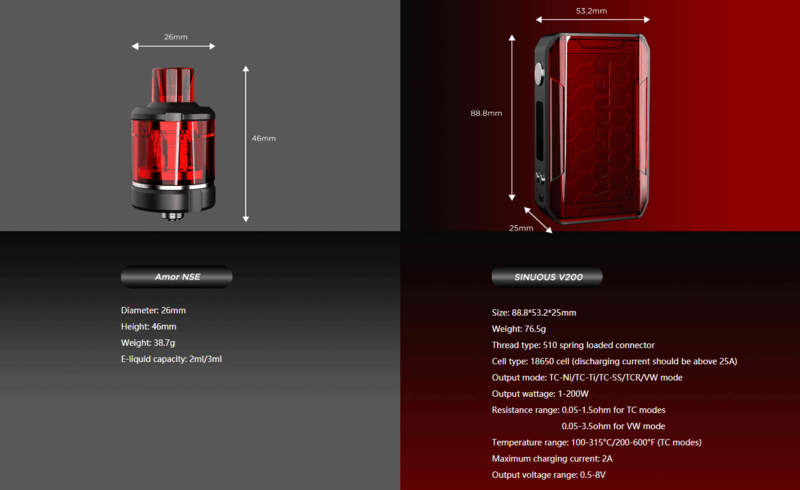 ☞ 6 months warranty period for Wismec SINUOUS V200 Kit with Amor NSE.